When there’s something weird in the neighborhood, who ya gonna call!? Invisible men sleeping in your bed? Seeing what you thought were mere imaginations run straight through your body? When they literally burst down… or even ectoplasmically through your doors? Who ya gonna call!? Boy, that could make a good song if we put it to a nice beat! Of course, you know the answer. Ghosts are problems.Big problems. They entirely defy all manner of physical engagement. You cannot fist fight a ghost and you can’t fight with conventional weapons, either... and we’ve certainly tried. But, instead of doing any damage, the darned things just get possessed and, suddenly, we’re running from ghosts and our own weapons. We need professionals! Fortunately, a haphazard team of scientists have put together the perfect weaponry in miniature nuclear devices and can be at your doorstep post haste. However, on this most festive of times, when the veil between the worlds of the living and the dead are weaker, a single team of ‘Busters isn’t going to be nearly enough to tackle all of the specters. So, doors are open for recruitment and that means we need you… and that eager kiddo of yours. 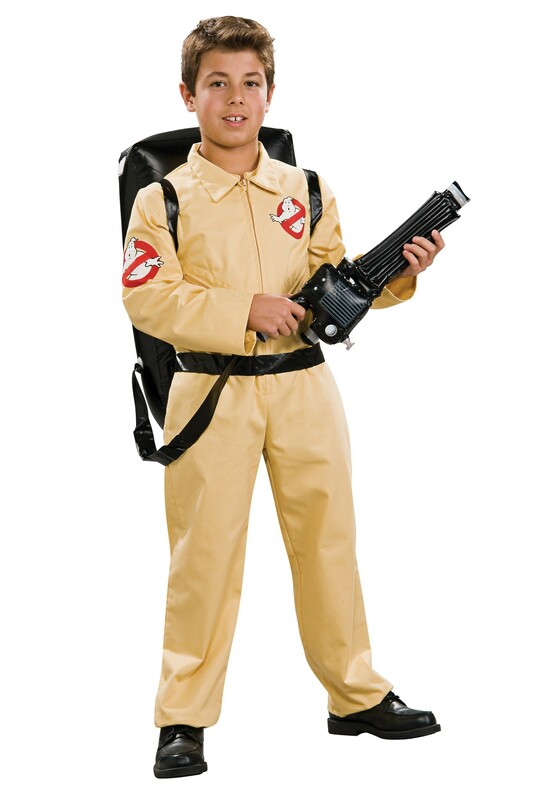 Hook your tyke up with this officially licensed Child Deluxe Ghostbusters costume today! This easy fit jumpsuit has two zippered pockets and the Ghostbuster’s logo printed on the chest and legs to warn the ghosties who they need to worry about! 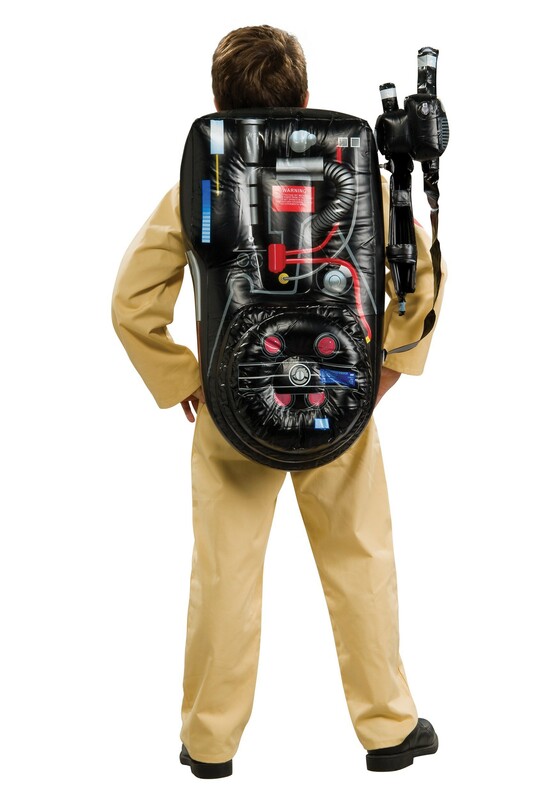 The inflatable proton pack inflates so those ghosts had better be running scared!